ABOUT | P.S. Business Services Inc.
A Full Service Bookkeeping Firm providing services throughout the United States. We’re P.S. Business Services Inc. and we have been providing specialized, personalized bookkeeping for small to medium businesses, in the United States, since 2014. We believe in providing peace of mind through stress-free processing of your bookkeeping and payroll needs, while remaining ethical to our clients at a fair affordable market price. Our unique virtual approach may help you with new or existing bookkeeping and payroll software to help your company streamline your business processes with the best checks and balances for business practices. In addition, P.S. works with your CPA to assure they are able to provide the best tax planning services based on accurate bookkeeping and reporting. 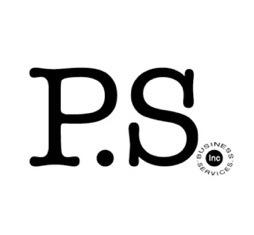 Launched by entrepreneur Peggy Johnson, P.S. Business Services Inc is Peggy’s vision for filling a void in outsourced virtual bookkeeping. After serving over 35 years in the corporate accounting industry, she took a risk, and made her vision into a reality. She saw the need for a company that could provide hands-on, personalized services that would not only ensure the accurate and timely delivery of bookkeeping and payroll, but also provide clients with stress-free management of their bookkeeping processes. Our staff is a team of trained professionals that are knowledgeable, experienced, thorough, and trustworthy. P.S. provides prompt, individual attention to each client, and we treat every client the way we'd like to be treated; with respect and a conscientious interest in getting the job done accurately and efficiently. We would like to personally invite you to contact us for a free consultation.